The UK government has passed in the recent budget legislation to tax residents who have been greater than 15 years in the UK on the worldwide income. For many years the UK has been attractive for Asians, Middle Eastern, African, South American, certain Europeans and especially more recently Eastern Europeans to not pay tax on their worldwide income. United States Nationals however being taxed on their worldwide income will be less effected than other people as it is mainly their effective rate of tax that could be an issue. This change has come as no surprise. As a professor of international tax law and a chartered certified accountant I remember at the time of Gordon Brown when the prime minister was Tony Blair his lobbying to change the status of non-domiciled UK. There has however been consecutive increases in taxation effecting the taxation of trusts; then the previous amendments of non-domiciled status. If this was not enough the taxation of capital gains on property for foreign residents as well as taxation on corporate ownership of residential property. All is not lost. One should be realistic and identify that many of the ultra-high net worth people have corporate structures which are not really affected on a taxation basis unless there are distributions. In addition there is still the ability to legally defer taxes provided UK domestic legislation is respected. Income in the UK can be still achieved in a tax efficient method. However one cannot overlook the fact there could be inheritance tax issues and careful planning is necessary to protect families. With this in mind it is not so easy! A family that has lived in the UK cannot just up sticks to live elsewhere. There are families to consider, life style, children etc. Obviously one needs to consider where to go. The possibilities of Monaco, Malta, and Portugal could be studied but this may not suit everyone. It is also important to look at substance. Many people will retain UK property. What will be their tax status after 15 years? The life time gift allowance enables to pass assets to children by gifting them. Provided one does not die within 7 years there is no tax as well as tapering relief during the period beforehand. This however is not always practical and the age of the person is relevant when looking at this. In addition the confidence is in the recipient. Large fortunes are complicated and often have family offices running their affairs. Will Scandinavian families just move their family office to another country, will there be an exit of the Swiss and how will the South Africans cope? Certain nationalities will not wish to return to their home countries but careful considerations will be important to preserve family wealth. In London alone there are over 500,000 French people. Some of these people will be affected by this new legislation as the fiscal advantage of the UK will simply be the avoidance of wealth taxes on non-French based assets. The liberation of pension funds has led to certain foreign national with considerable assets outside of the UK. These will be in capital yielding assets. All these assets will now become taxable unless careful planning is envisaged. Every case is different and advice is necessary if one is concerned on one’s individual circumstances. The international hedge fund manager, merger and acquisition partner, corporate banker distributing their profits outside the UK in a foreign vehicle or a fund in Luxembourg or elsewhere will now be taxed after 15 years of residence on those distributions. The anti UK tax avoidance legislation will focus on sham structures to avoid tax and probably look at them as transparent entities subject to UK taxation. The exchange of information will open a Pandora box if these routes are envisaged whilst remaining resident. Certain people carry out international trade whilst living in the UK. Their profits are currently outside the UK. One could argue that their services were performed in the UK although this is not always the case. The technology today and exchange of information makes it much easier to establish the arm’s length basis of a transaction. Germany has already interpreted differently a transaction on the basis the contract does not need to be signed in Germany to be considered a German transaction. 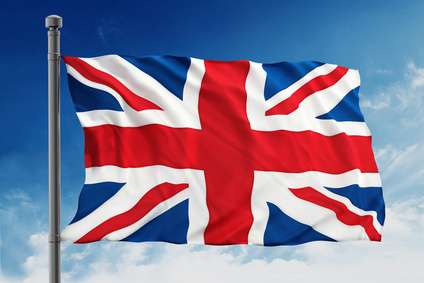 The UK has recently slightly modified its legislation to take into account Base Erosion Profit Sharing. The wave of closing down tax free environments seems never ending. Europe attacked corporately Starbucks, Amazon and Apple. Now the UK is attacking personally the rich that don’t pay tax. In my youth tax evasion was frowned on, and then it was tax planning but now it is not paying tax. This trend is unfortunately spreading through several jurisdictions. In addition pressure from countries on low tax jurisdictions to increase their taxation is constant. Luxembourg has already started amending its domestic tax legislation accordingly. Do I go or do I stay and if I go where to and for how long? That is the question for tomorrow if not today!